BRYAN EATON/Staff photo. 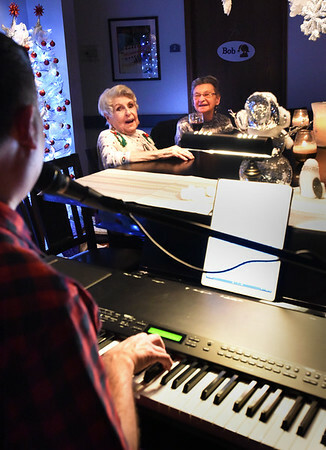 Joan Boorhes, left, and Kathryn Burek sing some Christmas songs with Robert Dionne for the Countdown To Christmas piano cabaret on Monday. The two are residents of the Salisbury Assisted Living Center which has several musical events this week.